Getting rid of belly fat can be a daunting process. For some, the thought of going through exercise sets or diets can be a dull moment. An unhealthy lifestyle, poor diet, lack of exercise and stress does result in a flabby protruding gut during a period of time results. The very epitome of an unhealthy lifestyle and a friendly reminder from your body that it’s time to get something done about it. Barely to we realize the negative consequences of tolerating a bigger belly. Other than the feelings of insecurity and a diminished physical appearance, belly fat increases the risks of heart disease, diabetes, and other ailments. With the correct exercises and well-balanced schedule you too can begin the journey of a healthier, better looking and fit version of you. Introducing yoga, an easy and convenient way of getting the good calories burned and the excess fat out. 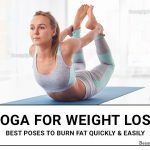 With our list of top 13 yoga poses to reduce belly fat, you are on the track to your belly loss journey. How Do Yoga Poses Help? During the years, yoga has been known as a therapeutic form of exercise that embodies the mind, body, and soul. In ancient China, the utilization of yoga was an everyday spiritual practice bringing wholeness to the body. It incorporates rhythmic bodily movements, this in itself triggers your metabolic system and gets the calories burning. Yoga poses offer a great alternative to gyming as it can be done anyway and anytime as well as increase your blood flow, stretch your muscle fibers and at the same time burns belly fat. It can be costly subscribing to an active gym membership plan, that’s where yoga poses come in. More control over body movements. It is also known to posses healing properties. High muscle tone and definition. Reduction in overall body fat. Reduces the risk of diseases such as diabetes and high blood pressure. The following are basic essentials to help kick start your journey today. Although not entirely a must, one can do without some of the requirements but to get more out of doing yoga poses, the following will really help. A comfortable yoga mat.preferably a material that will not cause irritations to the skin. Some react to PVC. Better alternatives include cotton or rubber. Water bottle to stay hydrated every now and then. Comfortable spandex attire to allow mobility and flexibility during those hard to reach poses. 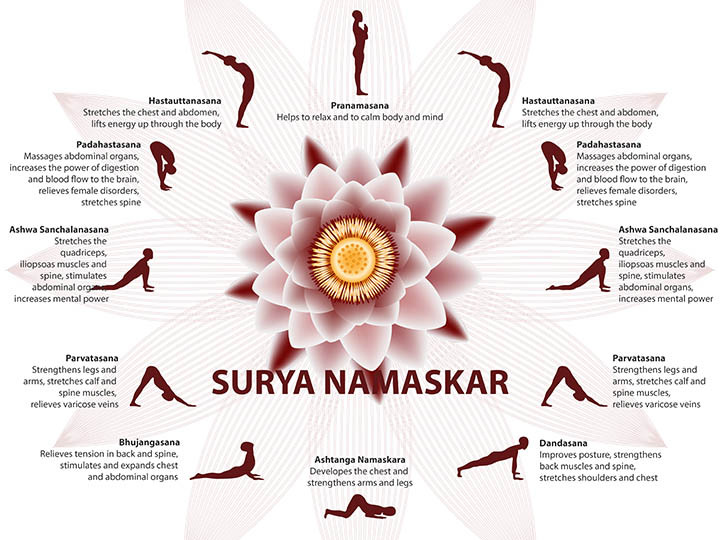 The Sun Salutation pose also known as the Surya Namaskar involves twelve yoga positions within one cycle. The pose gets its name from its early morning use whereby yoga meditators would perform the pose while facing the sun. Each position of the pose impacts the body, with the front and back bends stretching out the muscles fibers and bones while the more stationary ground laying and standing open up the channels of the lungs causing increased airflow into the body. Start by positioning yourself at the front edge of your mat. Then place your palms together in a prayer poses bringing it close to your chest. Take a deep breath while raising your hands above your head and stretching backward. Exhale and bend forward bringing your stretched arms to your feet. Inhale and lift your head looking forward as you begin to bring your fingertips to the floor. Breathe in as you place your right foot towards the back of the mat, leaning your left foot near your fingertips. This position is known as a lunge. Inhale and place your left foot to meet your right foot at that back of the mat. This is the plank position. Exhale and shift your weight forward, bending your arms into a press-up pose a few inches above the ground. Bend your elbows out breathe in and stretch backward pushing your spine to curve towards your lower back while your knees, legs, and hands are touching the ground. Exhale as you push your hips up while your hands are placed on the ground to form an inverted V formation (downward facing dog). Breathe in as you place your right foot towards your hands to perform a low lunge. While exhaling, slowly move your left foot forward meeting your right foot and bend over with your head close to your knees. exhale and return to beginning position. Benefits: This pose stretches out all organs and body parts. It tremendously stretches out muscle tissue and realigns bone ligaments giving a satisfying full body stretch. This pose helps isolate the belly region and targets the belly fat by compressing the abdomen as you stretch forward. In this state, the fat burning metabolic mechainis are triggered. Inhale as you raise your hands up while rotating your triceps towards the front. Slowly bend your knees and fold your upper torso over your legs. Begin to place your fingertips onto the ground near your feet. Inhale and hold your breath tucking in your stomach and hold for 60 seconds. Exhale and lift your body forward into the Tadasana position to finish the pose. Repeat for a number of reps desired with an interval of 10 to 20 seconds between sets. Tightens and tones abdominal muscles. The seated forward pose helps align and tone the back as well as the tummy and solar plexus. Muscles in areas such as thighs and hips are also stimulated. Sit on your mat while in the Padmasana position. Point feet towards the ceiling while keeping your spine straight. Without bending your elbow, inhale deeply and stretch your hands above your head as far as you can. With your head resting on your knees, exhale and bend forward bringing your hands down and grab your toes. While grabbing your touches, pull them back stretching out your hamstring and spine. In this position, breathe in and hold for a good 60 seconds. Exhale as you gently release from this pose, bringing your body forward and back to the Padmasana pose. This dynamic power pose stimulates the thyroid gland and helps residual relive stress in the body. if you have neck issues, then this poses help relieve the pain. -Start off in a plow pose, bringing your hands towards your back with your fingers facing up. place your hand near the mid back and elbows bent. Lift your feet towards the ceiling as you inhale. Look forward to prevent strain on your neck or any injuries. Allow your feet to slowly fall back behind you and retain this position. Leave arms touching the ground. Push feet to reach the ground behind and hold the position for a few seconds. clasp hands together and breathe out. Inhale and gently place knees to the head and arms to support the lower back. Exhale and begin to shoot legs upwards toward the ceiling and hold the position with arms still supporting the back. Slowly lower into plow pose and repeat. The Vasisthasana pose provides a variety of benefits to the body. The pose should be performed on an empty stomach. Gently begin to shift your weight onto the right side of your body. Rest your left arm against your hip and left foot on top of the right foot. Place your right arm above your shoulder slightly ensuring your palm rests against the floor. Inhale and raise your left arm forward, with your fingers towards the ceiling. Gently rest your arm onto your hip as you exhale and release this position. Return to the plank pose and repeat, switching onto your left side. Also known as the bridge pose, the Setu Bandha Sarvangasana relaxes the whole body fully and stretches your back, legs, and arms quite well. relieving any muscle tension. Place your feet on the floor as your bend your knees shoulder-width apart. ensure ankles and knees are straight. While inhaling, gently begin to lift your back off the floor. tuck shoulders in and ensures chin is in contact with your chest. Opens up the lungs and improves breathing. Aid relieve high blood pressure. The bow pose offers a good stretch to the abdominal muscle and tones the muscles firmly. The pose improves generally posture as well as improve chest, legs, arms and tummy tone. Repeat pose 10 times with a 15-second break in between. Back muscles and abdomen stretch. The Adho Mukha Svanasana is also termed the “downward facing dog pose” due to its striking resemblance to its animal counterpart positions. It’s an easy pose for beginners and gets that fat burning process on the go. Straighten your elbows and knees as you exhale out. Ensure hands are aligned to shoulders and feet aligned to hips.this keeps the posture in a good position. Hold the position for a few seconds and repeat. Works on the digestive system. Tones the hands as well as the feet. This dynamic yoga pose resembles the triangle. This is due to the posture form involved in the routine. It also requires one to keep their eyes open to maintain balance and not topple over. Stand upward on your mat and place legs roughly four or three feet apart from each other and arms shoulder-width apart. As you exhale, from below your hips, bend your body to the right while ensuring that your waist is straight. Completely stretches out groin area, hips, pelvis, hamstrings, and calves. The cat pose offers a gentle stretch to the back, spine and belly regions. it’s a simple to do pose with good benefits and awesome feeling. Begin with hands and knees in tabletop position, ensure knees are below hips and elbows, shoulders and wrist are aligned. keep hands and knees on the ground. Exhale and arch back towards the ceiling while retaining your arms and knees posture. Experience a well stretched back with the cobra pose. resembling the posture of a cobra on defense, this asana helps in burning stubborn belly fat and stretching the back muscles and spine. Gently lift your head and chest off the floor inhaling deeply with your gaze to the roof. Stretches muscles located in the shoulders, back and abs. Reduces stiffness in the lower back. The boat pose offers a powerful abdominal workout with guaranteed results with consistency and patience. 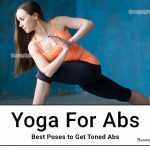 Out of all the poses listed, the boat pose can be considered the highest effective pose among the Top 13 Yoga Poses to Reduce Belly Fat. In the “Supine position”, lie down on your mat with legs stretched out and toes facing the roof. Place palms on the ground facing on either side. Works effectively on reducing belly fat. The camel pose is a back stretching pose that consists of mainly backward arching postures. it tones on abs and gives out a good back stretch releasing any tension. Start off by sitting on your mat and entering the “Vajrasana” position. Tilt head back and arch backward, stretching spine. Relieves fatigue and muscle tension. To conclude, ensure that you get adequate nutritional support such as staying hydrated by drinking plenty of water and eating the right kinds of food. Avoid junk foods and processed things and you’ll begin to see quicker results in no time. When it comes to selecting any of our Top 13 Yoga Poses to Reduce Belly Fat, choose the one that’s comfortable to you. We wish you success on your fitness endeavor and hope to see the gains soon.